The respiratory system is composed of lungs and the airway and is involved in two main functions – supplying oxygen to all parts of the body and expelling carbon dioxide from the body. Any complication or diseases of the respiratory system can be life-threatening as it may disrupt the normal breathing in a patient. Acute diseases of the respiratory system such as respiratory arrest can result in lack of oxygen in the body and damage the vital organs, resulting in further complications. 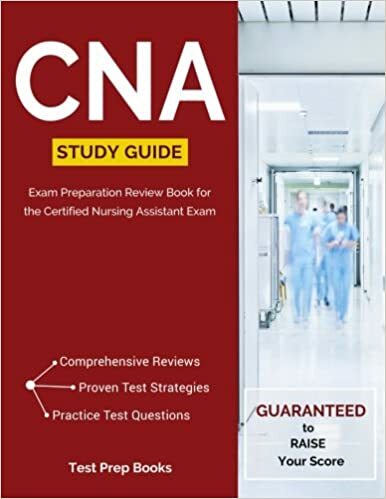 The CNA should be able to identify any respiratory complications in a patient. Usually, a patient with breathing difficulty will show symptoms such as gasping, bluish skin, a rise in heart rate and increase in blood pressure. If the patient appears confused, it indicates a shock and the patient may require prompt medical assistance. The CNA should also be alert to accidents such as choking, which can cause a respiratory distress in a patient. The patient may be found clutching his throat and is unable to speak. In such cases, the use of Heimlich maneuver can help in expelling the food or another object that is blocking the patient’s airway. If the CNA is unable to dislodge the choking object, and the patient stops breathing, the CNA should immediately call for assistance or provide mouth resuscitation. Check the patient’s mouth. If the object is seen, use a finger sweep to remove the object from the airway. If the object is not visible, and the patient is not breathing, give 12 continuous breaths per minute. Check again if the object is seen. Continue these steps till the patient starts breathing or until help arrives. Ensure that the amount of oxygen prescribed is followed strictly. Ensure that nobody smokes near the patient’s room. Ensure that the patient is properly positioned and is not distressed. Change the patient’s positions at regular intervals to prevent pressure ulcers. Provide mouth care and nose care to keep the patient clean. Use the safety measures while suctioning sputum. Explain what you will be doing before performing any procedure. Encourage the patient to eat and drink as prescribed by the doctor. Ensure that the patient’s oxygen mask is in place and there are no leakages in the oxygen tank. If the oxygen tank is not functioning properly, report immediately to the supervisor. In case the patient appears aggressive due to abnormal breathing, assure the patient and respond calmly. Encourage the patient to use the call button, and keep it near the patient’s bed. Note any change in the patient’s conditions or breathing patterns and report them immediately to the supervisor. In case the patient is connected to a mechanical ventilator, he is dependent on the healthcare providers for day to day care. The patient will have a surgical opening of the trachea and oxygen tubes from the ventilator will be connected to the patient’s lungs to facilitate breathing. In such cases, ensure all safety standards are followed while providing care. Treat the patient with dignity and respect even in they are not conscious, or comatose.